In search of the ideal, people turn to professionals. Cosmetic dental smiles are the answer to the prayers of many individuals. The advances in technology and the honing of dental skills in the 20th and 21st century have created a new type of dentistry. The product a cosmetic dental smile, is capable of turning crooked smiles or gummy smiles of even toothless smiles into pearl white, bright smiles. While, arguably, the beginning of cosmetic dentistry began with the first attempt to replace a lost or broken tooth, the honors actually belong to the dentists of the late 18th century. Alexis Duchateau (1714-1792) revealed the ability of porcelain to replace effectively lost teeth (1744). Another French dentist, Nicholas de Chemant, overcame the shrinkage problem to ensure successful implementation. Later, in 1937, Charles L. Pincus (1904-1986), a California dentist, created temporary teeth. They covered unsightly teeth for Hollywood’s celebrities. These were the first veneers. Porcelain came together with veneers. It became crowns in implants. Porcelain also capped and concealed the fragments of salvageable teeth. The discovery of more effective adhesives made crowns and veneers permanent. For dentists and patients alike, a smile brite and lasting became possible if not always probable. We may decide to undergo cosmetic dental procedures for any of several reasons. Some are related to noticeable dental issues. We may have lost teeth through an accident or disease or be subject, as a result, to gummy smiles. Some medications result in lost teeth or affect the color, the gum line and the overall condition. Genetics may also bestow a gummy smile upon us or position our teeth in a less than attractive fashion. A dentist will provide a suitable method, but it will come at a cost. Other factors you need to look at that may affect price includes geographic. Some locations are more expensive than others are due to the cost of living and/or the amount of resident dentists. This also applies to the physical shop. A dental office may be more or less expensive if it is in the suburbs, the urban core or somewhere in between. The experience of the dentist may also play a role in the cost of a procedure. A newer practitioner may have lower prices. The same is possible if there is a dental school or college. It may be worth it to let a student work on your teeth. Why does cost matter? Teeth may seem priceless but practicality needs to have a say. Moreover, this cost you will have to carry on your own. Many dental insurance plans will not cover cosmetic dental procedures. Modern dentistry provides us with an extensive array of treatment options. Whether we want to achieve a Michael Jackson smile or simply desire to look in our mirrors without cringing, there is a procedure for this. 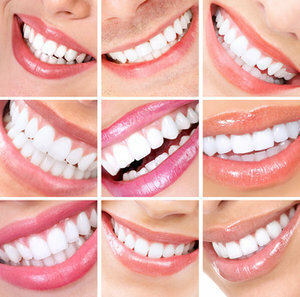 Dental smiles are currently available to address all types of real and perceived needs. From veneers to dentures to a Snap-On Smile, a dentist is ready to act as a willing guide.